Murder or killing is stealing life, adultery is stealing fidelity, lying is stealing the truth, and being arrested is stealing mobility. Whatever should be illegal in society is discussing whether something is being stolen and under what circumstances the stealing may be justified, which is frequently emergency situations. Stealing is not an absolute moral law even though stealing possessions is almost always wrong. 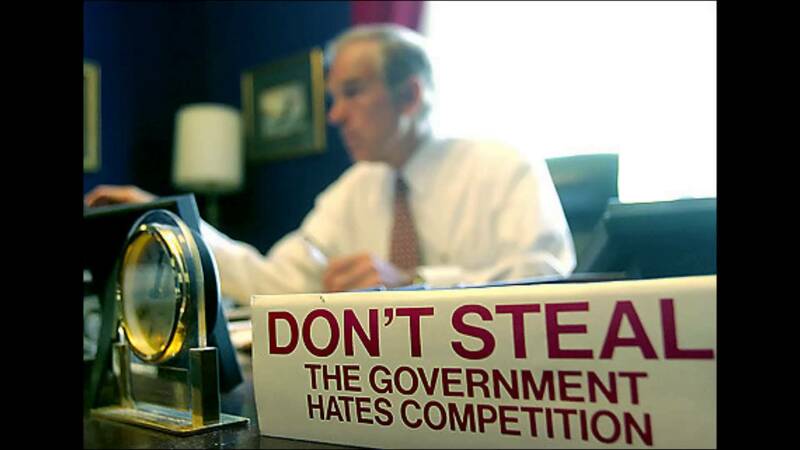 Stealing has exceptions and it can be legally permitted within reason under five general circumstances: During a self-defense war, in personal self-defense, for food during food emergencies, taxation, and law enforcement or public self-defense. During a Self-Defense War: Any and almost all stealing variations can be permitted during war with the exception of mutual nuclear destruction. Forcibly taking the life of enemy soldiers and destroying or forcibly taking enemy property during war is an example of stealing enemy life and property which is justified as long as you are the country that was attacked first. Starting a war should be a crime but fighting one is not a crime if it is done in self-defense. In Personal Self-Defense: One should try to use minimal force in a personal bodily attack unless instant death is threatened or a struggle against a lethal weapon is involved. If you are struggling against the threat of a lethal weapon and kill the attacker in the process then this is legally justified and you should not be punished such as going to jail. Defending your personal property with a lethal weapon under circumstances where there is no legal authority present is justified. An honest armed citizen is the best defense against a national tyranny or the tyranny of criminals when law enforcement is on strike or out of not present during an emergency such as a hurricane. Even under normal conditions an honest citizen has a right to defend his property with a weapon against invasion by drug addicts and sociopaths when the police are not immediately present. Stop or I will shoot you in the leg! This is an example of a threat which should be permitted especially by businessmen who are just trying to protect their property when the police are not immediately present. If the criminal is maimed for life then it is a just result since it is a just price to pay for giving in to drug addiction or criminal temptations or being mentally out of lawful control. Stealing a life in self-defense can be justified as shown above. For Food Emergencies: Stealing food when one is starving to death is understandable as long as the person from whom the food is being stolen is not also starving to death. It also is acceptable to forcibly steal the life of domesticated animals and plants which we use as food. On the other hand we should not steal the life of wilderness plants and animals so that biodiversity may be conserved and even expanded. Stealing the real estate which wilderness plants and animals live on is a not so obvious way of reducing their numbers and thereby also reducing biodiversity. Yes stealing the life of wilderness plants and animals and stealing the land that they live on should be a very serious crime! Taxation: Stealing money from individuals through taxation is legal and justified to provide military security and government services that theoretically promote the welfare of the nation even though there is a tendency for the government to also promote with special laws special interest groups that have political and/or economic power and frequently have little or no connection with the general welfare. The government is using the threat of severe fines and even forceful imprisonment if you don’t pay your taxes. Yes the government is stealing your tax money but it is legal! Huge amounts of money are stolen by the government and the higher the taxes the more unjust the government is and the more of a thief the government becomes. Government distribution of taxes to special interest groups and poor members of society not based on merit is an unjust distribution of wealth. When police make an arrest they are nonfraudulently stealing the right to free mobility from criminals and law violators who are endangering the public safety. When the mentally ill or drug addicts under the influence of drugs threaten people in motor vehicles they can be forcibly arrested. When criminals are arrested for their crimes force and frequently the threat of force is used by the police. Another way of communicating it is that police have the right to nonfraudulently steal some of your liberty if you have committed a crime or are immediately endangering the lives of innocent people. Thus nonfraudulently stealing the right to free mobility or nonfraudulently stealing some of your liberty is legal when justified and done by the police for justified reasons. Law enforcement is nonfraudulent stealing justified by society for the greater good or welfare of all its citizens. Almost everyone doesn’t feel that police steal anything but I have just shown you that police do in fact legally and nonfraudulently steal some of your liberty if the law and real circumstances justifies it. A final note. To combat cyber criminals who prey upon the public it is possible to justify eavesdropping or stealing information from suspected criminals who are using the internet and that means being able to spy on their money transactions on the internet by accessing their personal account information which may be anywhere in the world. Coordinating this kind of stealing of information across international borders is a problem yet to be solved by some international laws which all the countries of the world should comply with. If you liked this evergreen truth blog then read more of them or read one or more of my evergreen truth books, especially JUSTICE. This entry was posted in common sense, education, globalism, justice, science, society and tagged common sense, crime, education, globalism, justice, science, self-defense, society, stealing, taxation, theft, truth on January 3, 2014 by uldissprogis.